The RFPs below have been contributed by various website visitors and practicing consultants. While no template RFP should be used as a finished product, they do provide a good starting point for RFP construction. Software demo scripts are absolutely essential to ensure that software presentations cover the most important facets and empower the software buyer in making a comparative and informed purchase decision. While most white papers are financed by and biased toward select software manufacturers, we have been able to collect several vendor neutral white papers that provide truly useful information. End user surveys are generally the most relevant and useful source for acquiring first hand user experience qualitative data and trends. 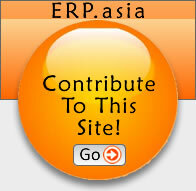 The following survey results have been vetted by ERP.asia staff. The following collection of research reports provide useful analysis related to software selection projects, software implementation projects and market trends.